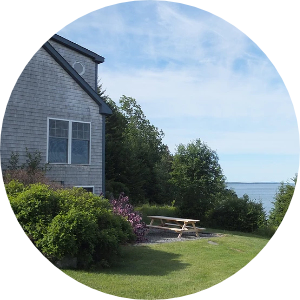 Acadia Sunset is a 3-bedroom, 3-bath cottage featuring a screened porch directly overlooking Duck Cove with westerly views out to Placentia and Swan’s Islands. Blue Heron Tide is a 4-bedroom, 4-bath cottage featuring floor-to-ceiling windows and a screened porch overlooking Duck Cove with westerly views to the outer islands. Cove’s Edge is a 3-bedroom, 3-bath Shingle-style architectural cottage featuring multiple patios overlooking Duck Cove with an easterly view to the outer islands. 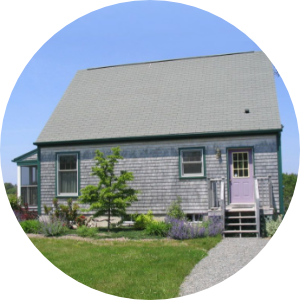 The Cottage Compound combines neighboring cottages Acadia Sunset and Blue Heron Tide, featuring 7 bedrooms and baths with great spaces for family or friends to gather. 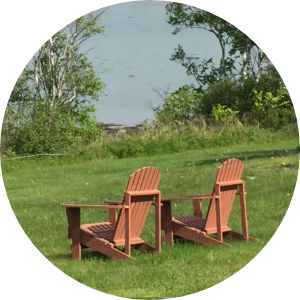 Come to Acadia Seaside Cottages at beautiful Acadia National Park, where “the mountains meet the sea.” Relax in an oceanfront home just steps from your own private stretch of Maine shore. Enjoy gorgeous sunset views out to Placentia and Swan’s Islands in Blue Hill Bay and beyond. Explore. Rejuvenate….. This summer, escape to Acadia. Each cottage features private steps to the beach. Put in a kayak, or walk along the beach and explore. Enjoy the views from your own porch or patio. You’ve got a fully equipped kitchen, open-concept dining and living rooms, private bedrooms with en suite baths, a gas barbecue grille, a good collection of books, a ping-pong table in the game room, board games, puzzles, and cards for a rainy day or cozy night – in fact, you’ve got everything you need for your vacation, special occasion, getaway, or holiday. Sample all that Acadia National Park has to offer. Enjoy lobster, chowder, touring, shopping, boating, adventures, downtime, and more. There are great options to explore in the Park and lots of other fun areas nearby. With blue skies, gorgeous mountains, and emerald seas, this is the place to be in summer, spring or fall. Smell that incomparably fresh sea air. Take in the ever-changing ocean view from your private seaside cottage. We have used VRBO a number of times and I can say this is the best rental we have enjoyed. Exactly as pictured and described. Peter and Joy have a very nice home. The view of a gorgeous bay could not be better. Fantastic views of the tide going way out and back in twice a day. Our group, two couples and one of our adult children, had a great time. We loved the ping pong table, the bay window, the comfortable beds with great linens and fluffy pillows, and the kitchen. The entire property is squeaky clean. The kitchen was well stocked with all the basics for cooking and serving. Plus there we lots of extras like cooking oil, coffee filters, sugar, spices etc. I will make a suggestion for future renters. Visit the home before going to the store so you can buy what you need. Hannaford Supermarket is about 20 minutes away. For instance, we had to buy toilet paper, paper towels along with our breakfast/lunch foods. Also the coffee filters there were too small (2 instead of 4) for the Mr. Coffee maker. Finally be sure to enter the correct town (Tremont) for the home into your GPS because there is an identical address in another small town very nearby. Overall an excellent value and we will stay there again. Perfect spot to gather 3 high school friends along with spouses and catch up. Easy/convenient drive to Bar Harbor, Arcadia National Park and watching sunsets at Bass Harbor Head Lighthouse. Our hosts, Joy and Peter, were responsive to our questions and needs. We would highly recommend their Cove's Edge property to anyone interested in visiting Maine. 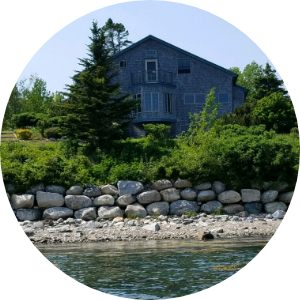 When we first arrived at Cove's Edge our children were so excited that this property was right on the water that they ran to the beach before we even entered the house. The house was clean and provided everything we needed to enjoy our vacation. The Ping Pong table was a huge hit with our family and we had many tournaments to see who was the best. We enjoyed the view that the cottage offered and we even saw a seal in the cove one evening. My daughter loved going out at low tide to look for shells and other things left in the sand. We loved our stay and would go back in a heartbeat. Excellent poperty. We loved the bay windows overlooking tje water. Very private with great local seafood. Definitely a great place to revisit. Nice house, beautiful location, well-stocked. I think the owner should inform guests BEFORE booking that the tap water is in sufficiently treated so really shouldn't be consumed. Except for that, I highly recommend this place. This place is amazing! Feels very comfortable and home-y, and really is well stocked in terms of kitchen supplies, games, grill, towels, and more! The location is very quiet and STUNNING, a little bit of a ways (half hour or so) to Bar Harbor/Acadia entrances, but very manageable. Beds were comfortable, rooms were spacious, and everything was very well thought-of. I would come back here again in a heartbeat! We stayed here for our first trip to Maine and to celebrate our 20th anniversary. We loved that we were close to all the amazing things to do in Acadia National Park and Bar Harbor, but also far enough away from the crowds around Bar Harbor. We couldn't believe how quiet and peaceful it was watching the amazing sunsets at this house. Wonderful place to be while visiting Maine!!! We enjoyed our home in Maine so much. Jill and Peter were very accommodating and shared a lot of local tips and information with us prior to our visit. We had the entire cove to ourselves whenever we took to the water. It was so peaceful! Great sunsets from the house and great places to sit down and read a book. The beds were all very comfortable and the kitchen was easy to navigate and use! The landscape and flowers around this home are so beautiful as well. Location is great because you are in the quiet area of Mount Desert Island, but you are also not a far drive from anything on the island. Right on the water, beautiful views, lovely clean cottage, great proximity to lots of fun and relaxing activities. Couldn't ask for more! Four couples spent time at Blue Heron Seaside Cottage and very much enjoyed our stay. The home is even nicer than the photos. Beautiful views of the cove, well furnished, comfortable and cozy. Everything we needed was available at our finger tips. We loved the screened porch! An easy drive to Acadia and Bar Harbor. Blue Heron was a welcome place to spend our evenings together with good food and great friends! Thank you Joy and Peter. We thoroughly enjoyed our time at your home. It was everything that we hoped it would be and more. The weather was absolutely perfect and we enjoyed exploring Acadia and the little surrounding towns on Mt. Desert Island. Then, after a day out and about, it was nice to come back to your place and just relax. The sunsets were beautiful. The lobster at Thurston's was great. You have been great to work with. Thank you for the use of your home, it is one that we will surely plan on coming back to again.